The issues in the release include four new features & improvements, and eight bugs fixed. Application events are one of the contributors to changes in database performance characteristics, and in this release PMM now supports receiving events and displaying them as Annotations using the new command pmm-admin annotate. 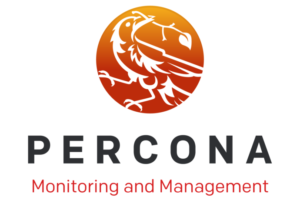 A recent Percona survey reveals that Database and DevOps Engineers highly value visibility into the Application layer. By displaying Application Events on top of your PMM graphs, Engineers can now correlate Application Events (common cases: Application Deploys, Outages, and Upgrades) against Database and System level metric changes. pmm-admin annotate "Application deploy v1.2" --tags "UI, v1.2"
Using the optional --tags allows you to filter which Annotations are displayed on the dashboard via a toggle option. Read more about Annotations utilization in the Documentation. We’re extremely pleased to see Grafana ship 5.0 and we were fortunate enough to be at Grafanacon, including Percona’s very own Dimitri Vanoverbeke (Dim0) who presented What we Learned Integrating Grafana and Prometheus! ← Who Wants Awesome Free Webinars?